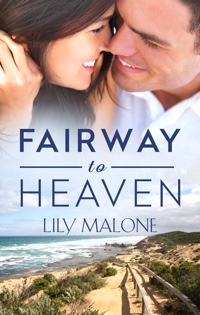 Fairway To Heaven | It’s Pre-Order SALE Time! Sometimes you really should just go to bed, but before you go to bed you have a check of Amazon and ITunes and a little poke and putter around to see what’s happening with your books… I just did that, and discovered Fairway To Heaven is on sale, right now. It’s less than a dollar. 94 measly cents in Australia and with the exchange rate, something like 74 cents in the US. Here’s what some other authors and readers have said about Fairway. “This was a don’t-put-down one for me.” Georgina Penney, author of Fly In Fly Out and Irrepressible You. “I don’t read a lot in the romance genre, but love every word of this one.” Kylie Kaden, author of Losing Kate and Missing You. “It would be years, decades even, since I read a romance novel and I don’t know why I chose to delve into this genre at this particular time, but I’m glad I did—it was pure escapism, and exactly what I needed on a Saturday afternoon.” Louise Allan, author & book lover. “I loved reading this book! The strong and imperfect heroine and hero, who both have some serious issues to deal with. I even felt a heart string tug for the cheating ex.” Ryanne, Goodreads review. When Jennifer Gates drives to Sea Breeze Golf Club to kick off date-night with her boyfriend, the last thing she expects is to find Golf-Pro Jack giving one of his lady students a private—and very personal—lesson in bunker-play. Luckily for Jenn, her best friend gives her the keys to the Culhane family’s beach shack on the white-pepper shores of Western Australia’s Geographe Bay. Jenn hopes a weekend on the coast with her young son will give her the space she needs to rebuild her confidence after Jack’s betrayal. As long-buried feelings are rekindled, and a friendship is renewed, Jenn knows it is more than lazy summer days bringing her mojo back. Romantic sunsets, ice-cold beers and the odd round of golf can only go so far, because this time, trusting Brayden with her heart won’t be enough. Can Jenn learn to trust her body, too?